Changing gears towards a movie theme, we have Lemuriacalling giving us a very personal article. If you like what you see, you can find his tireless videogame writing work over at respawn.ninja, under the name Toby Berger. I’ll admit this straight away – growing up in the 90’s pretty much rocked. From Rugrats, to the original Pokemon TV series, to Cheese TV – I couldn’t even fathom how I’d have turned out if I was born in this day and age. And while I was swiftly digesting my favorite cartoons of a morning before school would begin, films were still the beast of the media world. Before video games became the massive phenomenon we’re so used to now and cinematic-style TV was still finding its feet, films were the creme-de-la-creme of spectacle. Titanic, E.T., Jurassic Park, Star Wars… all absolutely fantastic in their own way. Going out to the cinema was something families would be genuinely excited to do back then. There was no internet to pirate movies from, CDs were only just becoming a thing and most of all, it was a solid way to bond with your family, friends, and dare I say it – a date or two. This may not be an accurate depiction of a young Toby. When I started really engaging in film, there was a period of my life that just revolved around watching every movie possible. I absolutely loved them. They were mildly short bursts of something (mostly) original and unique, and because I was a youngster I’d come out of a superhero movie thinking I had powers, I’d come out of a Lord of The Rings movie thinking I’ve just witnessed a battle for the ages, but most importantly, I’d regularly come out of a Saw movie with a massive grin on my face. I wasn’t entirely normal when it came to taking in films, and when I turned around eight or nine I developed a real passion for horror movies. I absolutely adored these monstrosities of filmmaking and enjoyed the gore, the scares, and the monsters. This top five list didn’t take me that long to conjure up because I have such fond memories of being scared out of my brains during a handful of the films I’m about to mention, but I thought it’d be an interesting read none the less. The films are in no particular order, as they all played a significant part in defining my childhood. Episode Three of the Star Wars prequel saga is quite frankly the strongest of the lot. I really enjoyed Episode One and Two, but the memories I have of going to my first midnight premiere in my home town with my parents, one of my best friends and my Year 6 teacher (yes, we were good pals) is something I’ll never forget. I still remember my father coming back and telling us there were no tickets available and we had to drive home, only to fall into a frenzy of laughter after I put on the most disappointed look possible. The movie itself, as I mentioned above, is the strongest in the trio of Star Wars prequels and I genuinely got goosebumps when Order 66 was executed. I was tuckered out after the screening, but it was so damn worth it. Arguably the weakest entry in The Matrix saga, Revolutions didn’t do too much good, but it did make up for that with an awesome fight at the end and it gave me the feeling that I was, in fact, Neo himself. I remember performing cartwheels across the cinema when I went to the toilet half way through the movie and having that feeling of absolute disbelief when Trinity died. If only I was born a few years beforehand I would have been able to catch the original in the theaters and perform acrobatics then, but unfortunately that just wasn’t the case. Revolutions was a bad film, but the experience it provided was unparalleled. 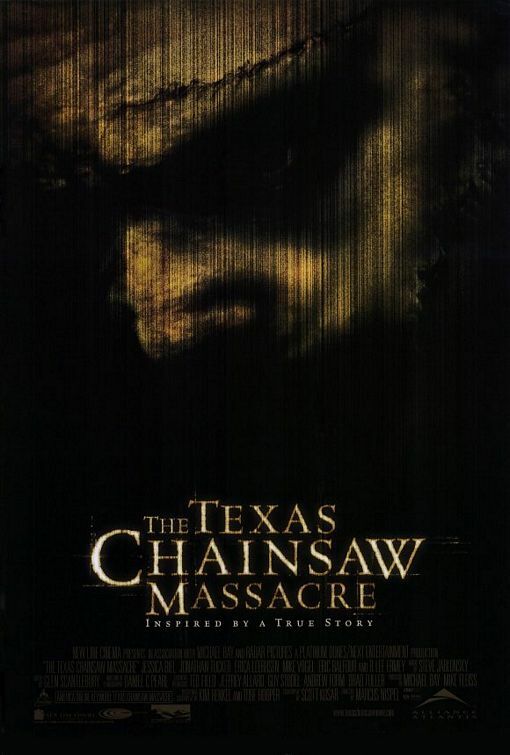 Not to be confused with the original, I pleaded with my father to let me watch the 2003 remake of Texas Chainsaw Massacre for what felt like months on end. I’d been able to watch other horror films before this point, but the ominous looking cover and the genuine fight my dad put up trying to tear away my undying need to watch it was just too much. Eventually, he caved and I watched the film during an ungodly hour of the night. I was plagued with nightmares for weeks, and the sound of a chainsaw made me jump many times after, but it was one of the defining moments in how much I appreciated and loved the horror genre, mediocre film or not. My love for the original Saw is unmatched when it comes to horror films. Not only was it an awesome, gory affair, but it also had one of the best final acts I’ve ever seen. Saw was the film that cemented my love for the horror genre and gave me hope that the golden era of horror wasn’t over (although, quite frankly it is, sadly). It also became one of the franchises my father and I would be able to sit down and watch together without too much whinging, which was an added bonus. Side note: If you haven’t read the story of how Saw was actually made, give it a read – it’s very interesting. This one was by far the easiest choice for me, because as much as I loved horror films back in the day, there was simply nothing quite like Harry Potter. 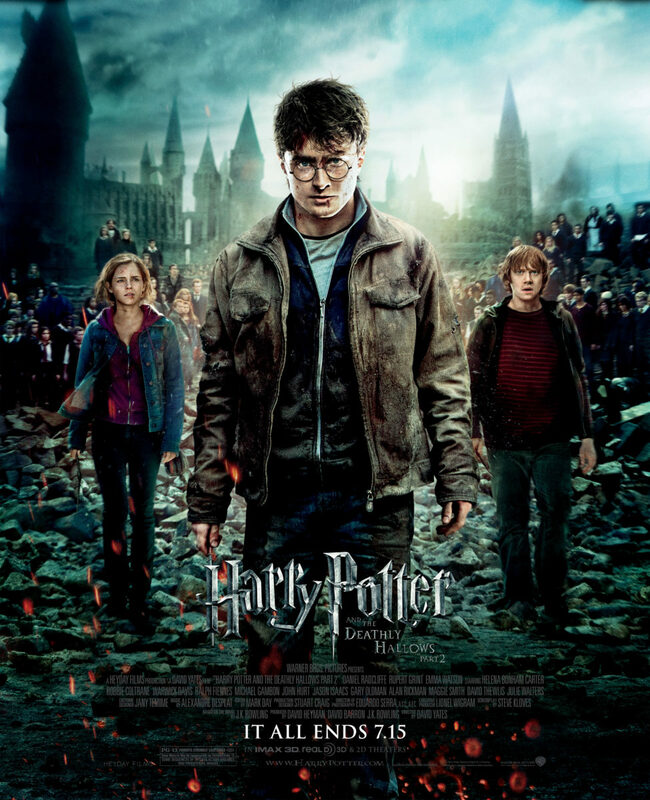 From the beginning right back in 2001 to the concluding chapter in 2011, the Harry Potter cinematic saga is something that I’ll always cherish close to me. I felt like I’d developed with the story, with the actors, but most importantly I felt like I’d developed with the characters. I was only a tiny chap back in 2001, and watching the final chapter in the story just a year out from finishing high school was something I’ll likely never experience again. If the franchise is ever rebooted, I sincerely hope that the filmmakers do it justice, because Harry Potter taught us a multitude of lessons about friendship, love, hope and life. It was truly a mark of pure excellence in film-making. So that’s really it! Five films that defined my childhood, done and dusted. I still watch these films every now and then (with Star Wars/Saw/Harry Potter marathons occasionally) and always feel the nostalgia and the love I’d felt back when I first watched them. I think film itself will never fall away, and while we’re in the age of TV becoming such a prominent figure in society and gaming becoming the global juggernaught that it is, film will always have a place in this day and age because there’s genuinely nothing quite like it. I just hope that there’s another big saga waiting to happen for kids growing up now, because having something like Harry Potter guiding your childhood and adolescence is genuinely unmatched. It was an experience I’ll cherish for a long time to come. To finish, a big thanks to Ryan for inviting me to come over here and talk about something I usually don’t dabble into. It’s been a pleasure.